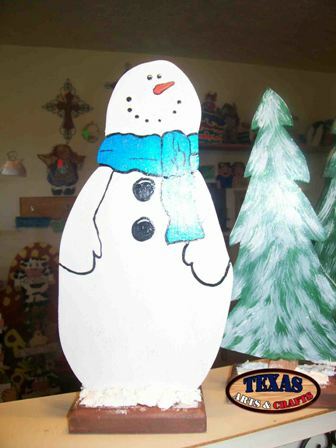 The Small Snowman is made out of pine in our workshop. The snowman is hand painted white. There are a couple options for the color of the scarf: Pink and Blue. The dimensions are approximately 12 inches tall by 5.50 inches wide by 1.75 inches deep. The item will weigh approximately 1 pound with packaging. For the continental U.S. shipping and handling is included in the listed price. For shipping outside the continental U.S. please contact us through our Contact Us page. 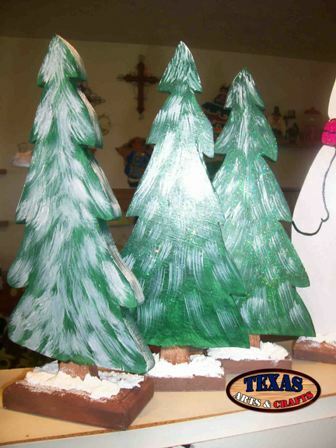 The Pine Trees are made out of pine in our workshop. The pine tree is hand painted green with snow on it. For one pine tree the dimensions are approximately 12 inches tall by 5 inches wide by 1.75 inches deep. The item will weigh approximately 1 pound with packaging. For the continental U.S. shipping and handling is included in the listed price. For shipping outside the continental U.S. please contact us through our Contact Us page. The Mitten Towel Holder is made out of pine in our workshop. 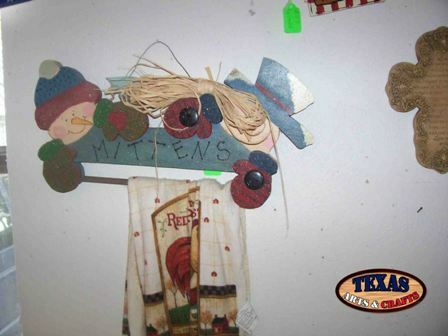 The two children are hand painted with mittens onto the corners of the holder. The holder has Mittens written in the center. There is a bar that runs from one mitten to the other in which you can hang your small towels. The dimensions are approximately 9.50 inches tall by 17 inches wide by 2 inches deep. The item will weigh approximately 2.50 pounds with packaging. For the continental U.S. shipping and handling is included in the listed price. For shipping outside the continental U.S. please contact us through our Contact Us page. The Welcome Winter Wreath is made out of pine in our workshop. The snowman is hand painted white. 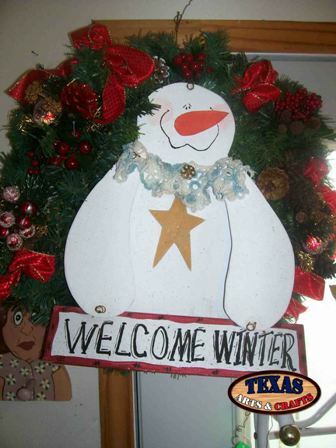 The snowman is holding a Welcome Winter sign. 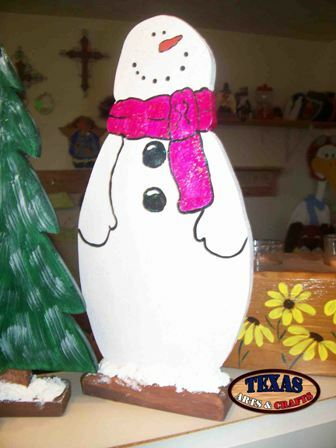 The dimensions are approximately 20 inches tall by 20 inches wide by 5 inches deep. The item will weigh approximately 3.25 pounds with packaging. For the continental U.S. shipping and handling is included in the listed price. For shipping outside the continental U.S. please contact us through our Contact Us page.